I recently happened upon Smitten Kitchen and fell in love– delicious recipes and beautiful food photos that make me hungry every time. 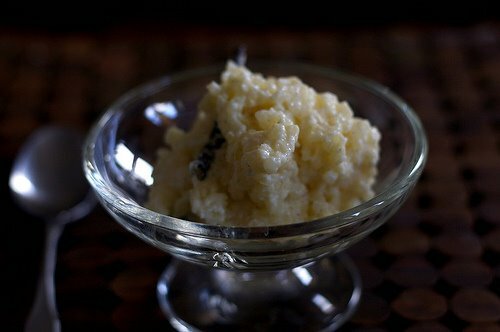 Today’s almond-vanilla rice pudding recipe has left me with a craving…. I just might have to try my hand at this one over the weekend.